If you have a home, then chances are there are quite a few things that need to be organized and stored. But what do you do when you don’t have the time or money to wander through IKEA in hopes of finding something that’ll bring your home order? You go to the dollar store! Seriously, the dollar store has almost anything you need for storage for any part of your home. And yes, it can look amazing! So check out these dollar store organizing and storage hacks down below and let me know what you think! If you have plenty of vertical prepping and baking ware, then try using a cute wicker basket to store them all in! It’s super cute and makes things easily accessible. The dollar store has plenty of hooks! So try storing and organizing your bathroom and beauty products with them! It’s a great way to save space on your counters. Things Like Pipe Fittings Are Great Ways to Keep Your Kitchen Utensils Together! If you’re pretty tired of rummaging through your drawers trying to find the right kitchen utensil, then definitely try this hack out. It can be pretty hard to keep all of your kids toys organized and off the floor, but a hamper is a super simple place to store them all. If there are some items you find keeping your bedroom a mess all the time, then this DIY hack is a great one to keep your room straight. Never let your counters and desks become cluttered with mail again with this simple trick. It’s seriously a great way to keep important (and not so important) mail easily accessible. If you have plenty of cereal containers in your home, then you can easily create storage in your drawers with them. Closets can get super messy, and have plenty of tights doesn’t help. But a simple fix for that is to use clothes pins. Whether it’s the holidays or you just love creating cute craft projects, this is a great DIY to do so your can easily store your supplies in an easy-to-grab place. Storage is super important when you own a home. It’s what keeps it from turning into a giant mess and gives everything a place. It makes life just a bit easier and keeps your home clutter free (which definitely gives you space to breath). 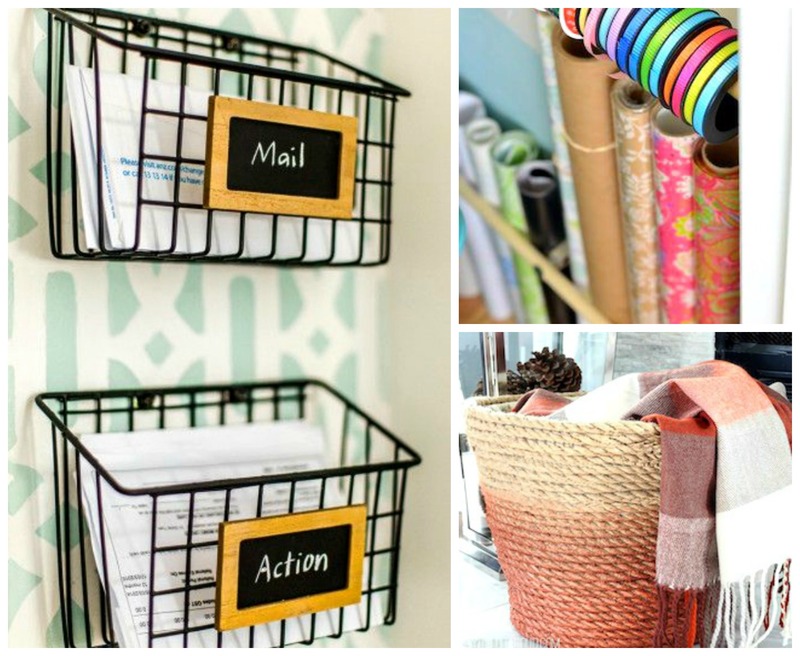 And these awesome storage hacks are definitely a great place to help you get started! So check out their original source and let me know if you have any questions! I’d love to help you out!